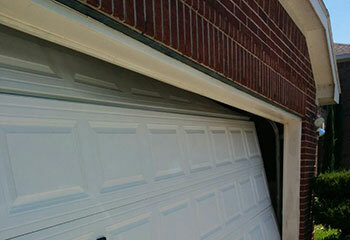 Looking for professionals who can help you with your garage door? Our trusty team is at your service. Check out some of the projects our experts completed recently. 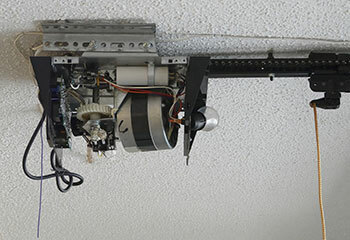 Customer Issue: The electric opener became unresponsive and its lights remained off, even when it was plugged in. Our Solution: The team opened the device up and found where the power cable had come out of the battery, though the customer was at a loss to explain how. Replacing the cord and carefully wiring it into place restored power to the opener, along with full functionality. Customer Issue: Lift cable broke. Our Solution: Although the second cable didn't break, its condition was far less than ideal. We removed both units and fitted two new ones in their place. 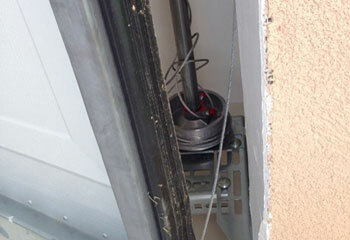 Then we tested the torsion spring, lubricated it, and made sure the door could open and close smoothly and safely. Customer Issue: Rollers popped out of the tracks. Our Solution: The first thing we did was repair the bent parts of the track that had caused the units to come off. Then we inserted the rollers back inside it and lubricated them to ensure their smooth movement. Customer Issue: Extension spring broke. Our Solution: We didn't just remove the damaged unit but its counterpart as well, seeing as it looked to be in nearly as bad a shape. 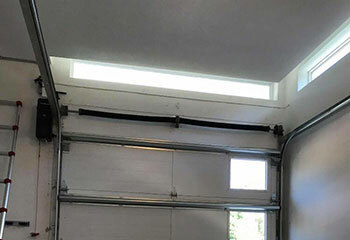 We installed two new springs on the door, and made sure they were properly secured with safety cables to keep them from whipping around if they break.